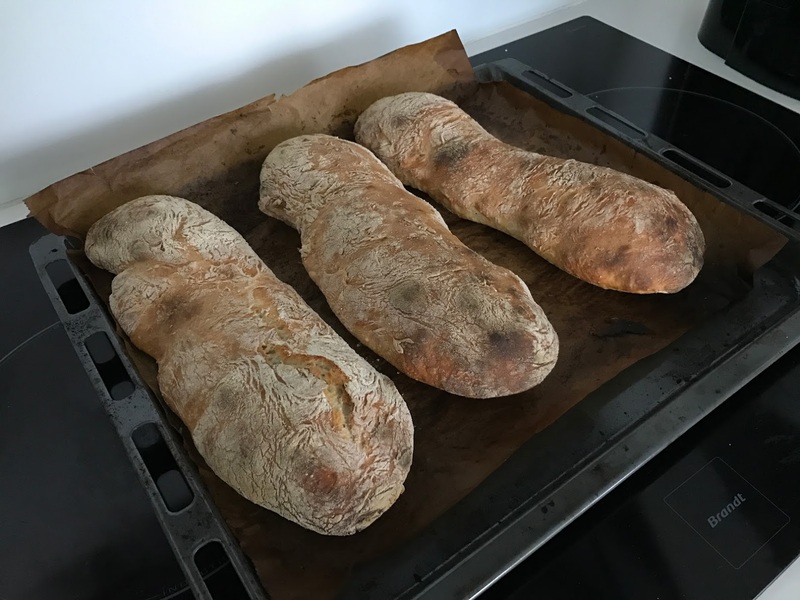 For several years I’ve struggled to make the perfect Italian ciabatta bread. 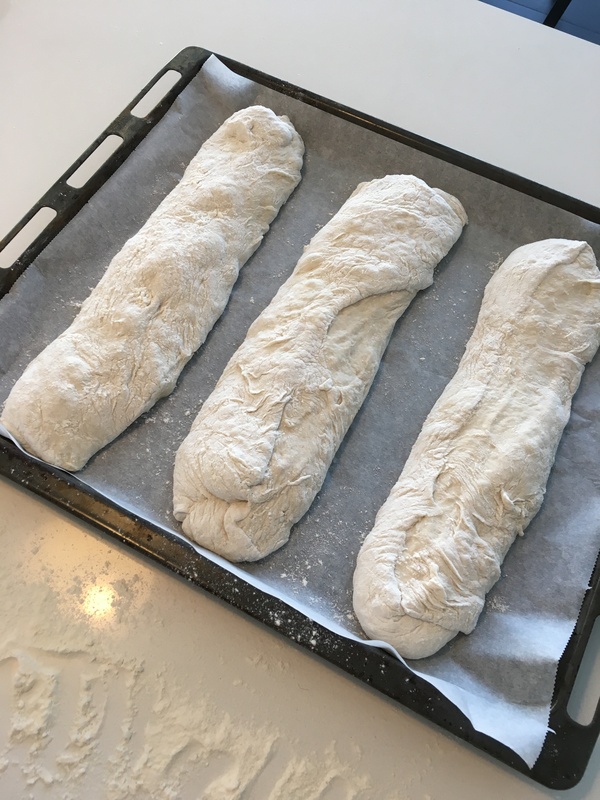 Finally, I’ve managed to get the recipe completely right – and it is actually more simple than you would imagine… It’s actually extremely simple, and you will get the most amazing, tastefully and cheap Italian ciabatta bread imaginably. 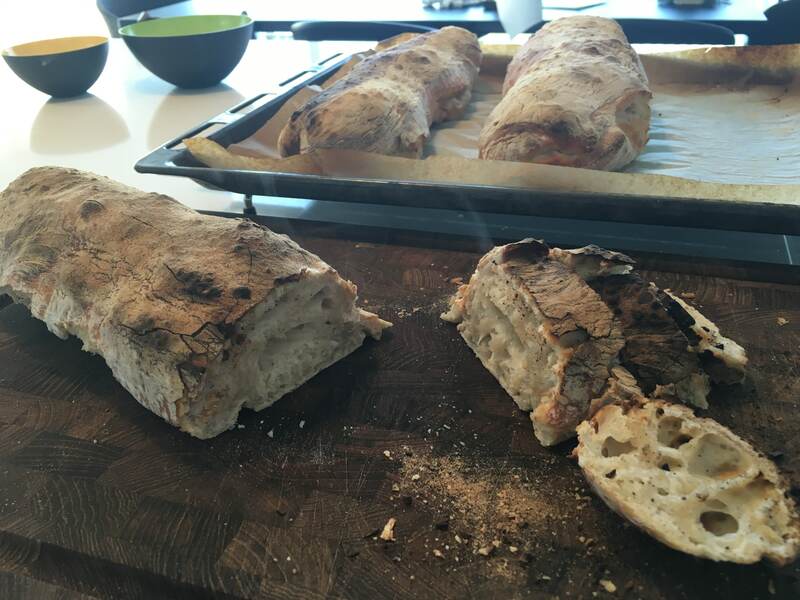 Here is the easiest recipe for fantastic italian Ciabatta bread. There is no need for great skills in a kitchen, just put all the ingredients in – mix a bit, and your ready to go… (Energy: Total 2,726 kCal, or 341 kCal per person). 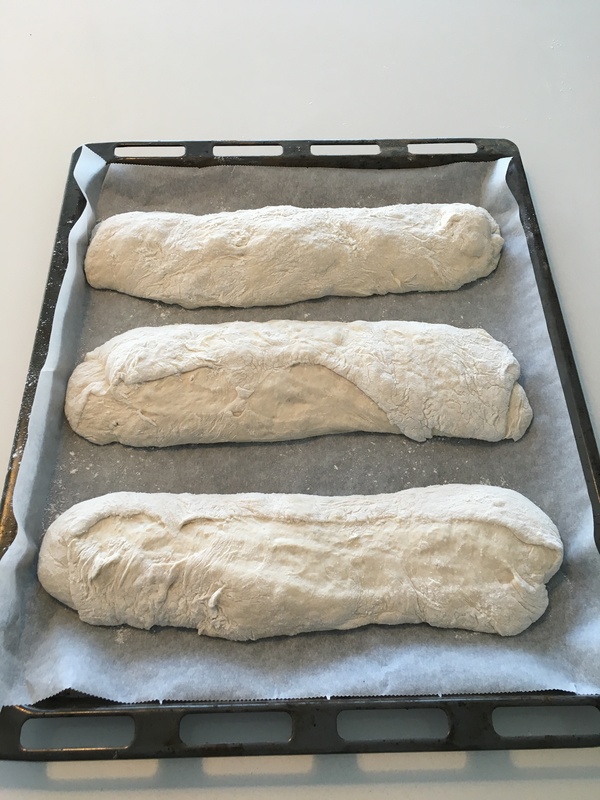 For several years I've been struggling to make the perfect Italian ciabatta bread. But now I finally got it. There is no need for great skills in a kitchen, just put all the ingredients in - mix a bit, and your ready to go... (Energy: Total 2,726 kCal, or 341 kCal per person). 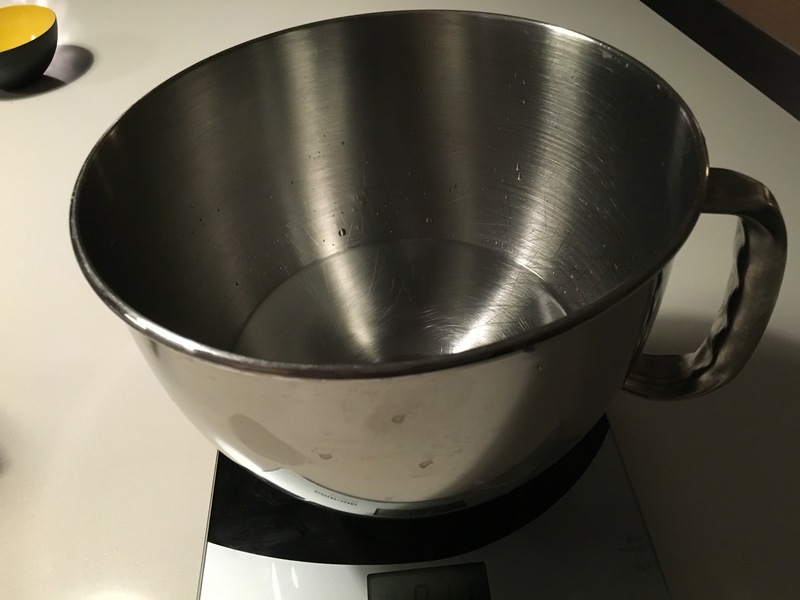 Dissolve the yeast in water together with the salt. 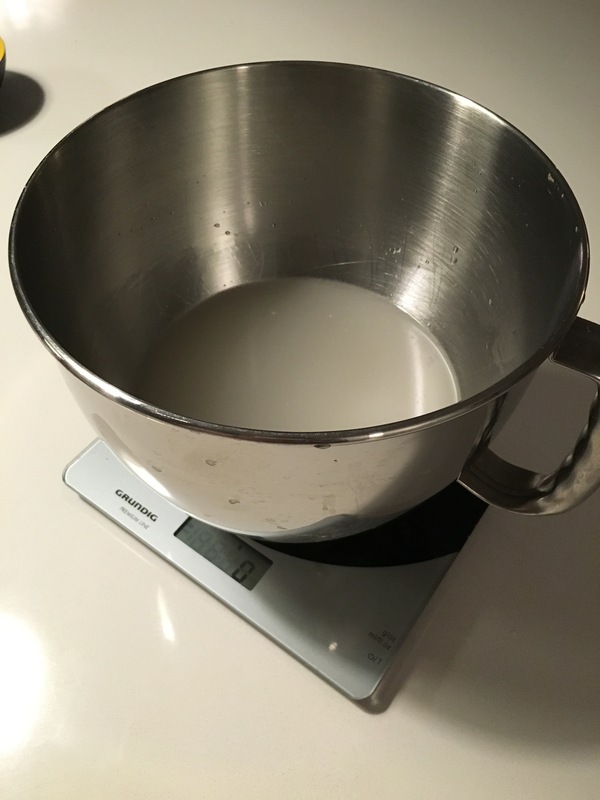 Mix the flour into the water. 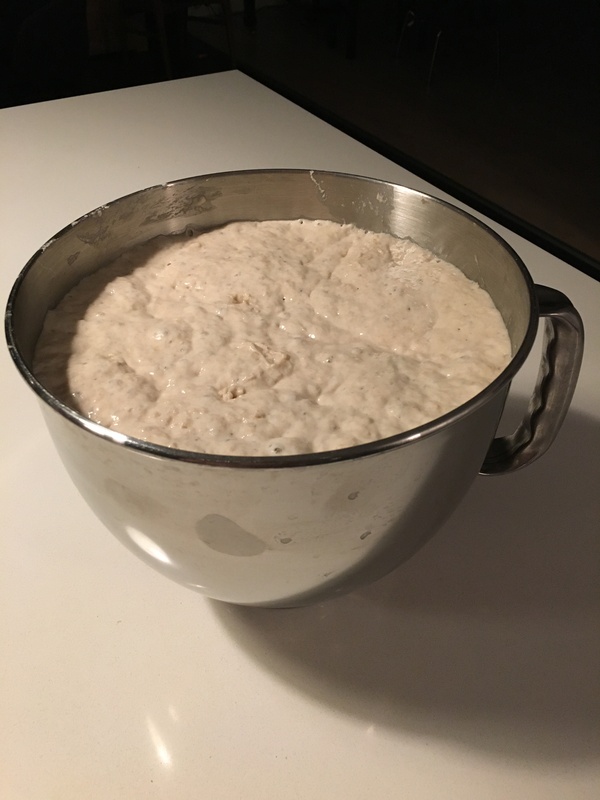 No need to knead the dough. 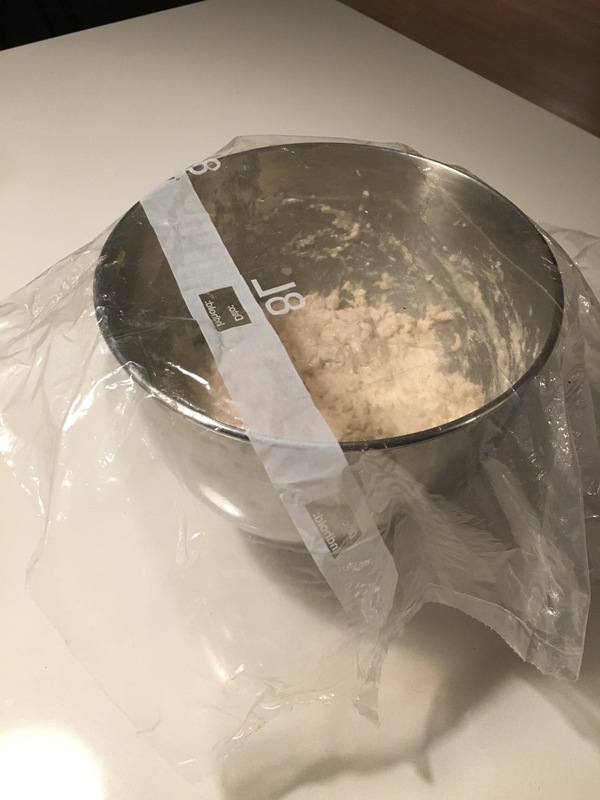 Just make sure that the flour is wet (20 seconds). Put the bowl on the kitchen table for 12-18 hours with a bit of plastic on top (look at the pictures). Extremely simple. Turn on the oven 15-20 minutes before working with the dough to make sure it very hot. Put the oven heat to the maximum about 5-600 degrees Fahrenheit. If you have a fan-assisted oven then use that. 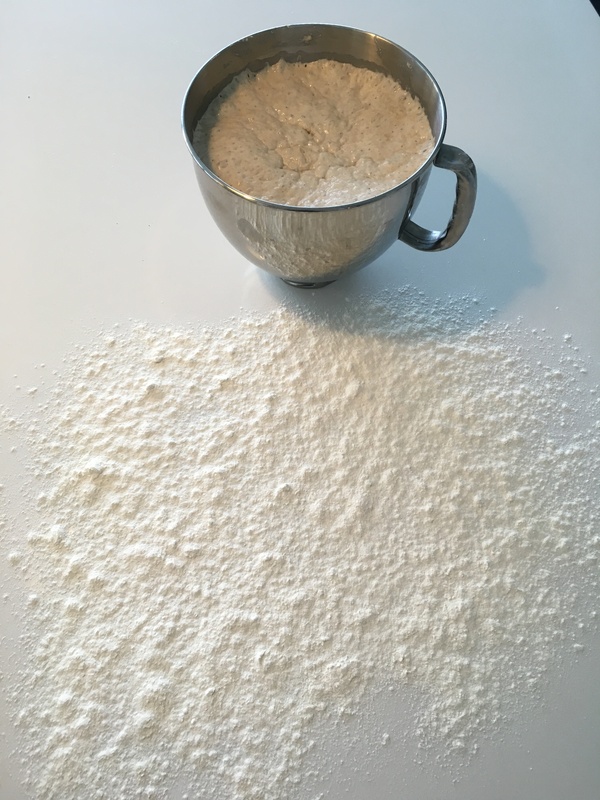 Cover the table in wheat flour (see pictures). 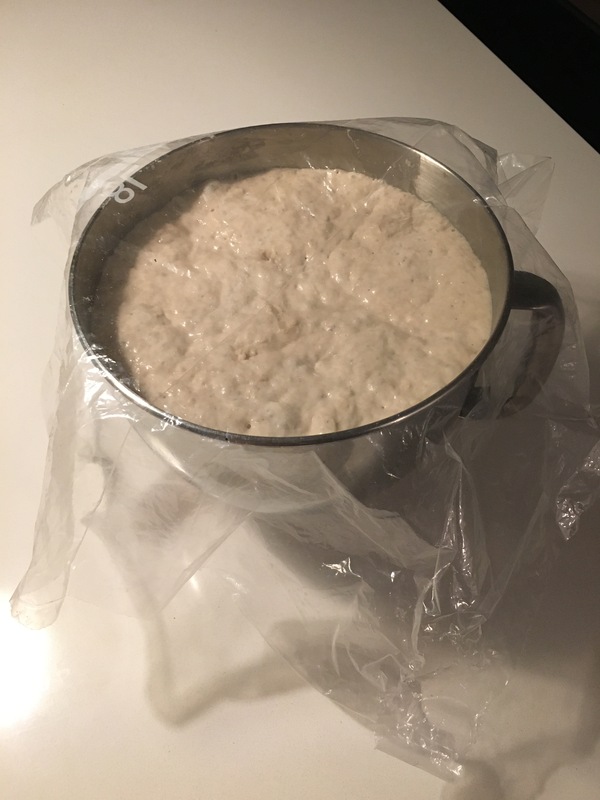 Then pour out the dough. It very "wet", which means that you may only touch it very briefly or else it will be very sticky. 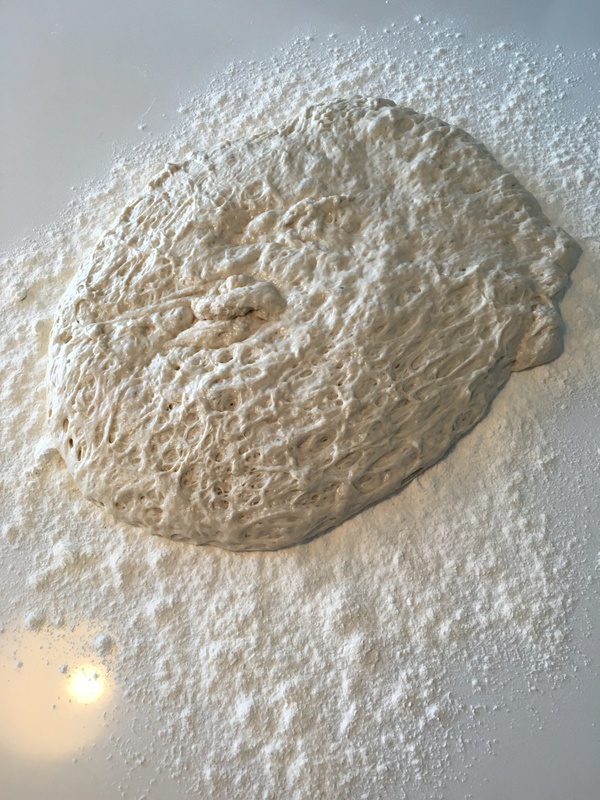 Put one side at a time to the opposite side of the dough (see pictures). Do this 1-4 times. 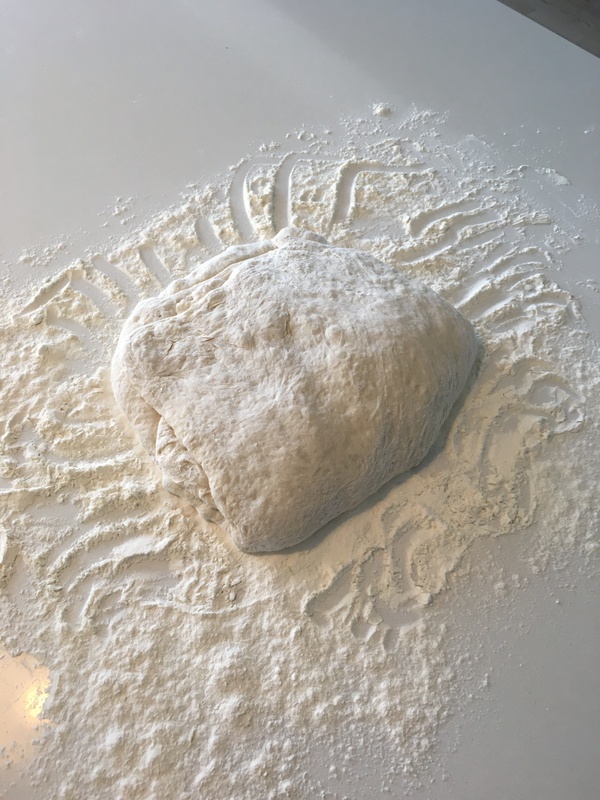 Do NOT knead the dough. If you knead the dough the large holes will go away. 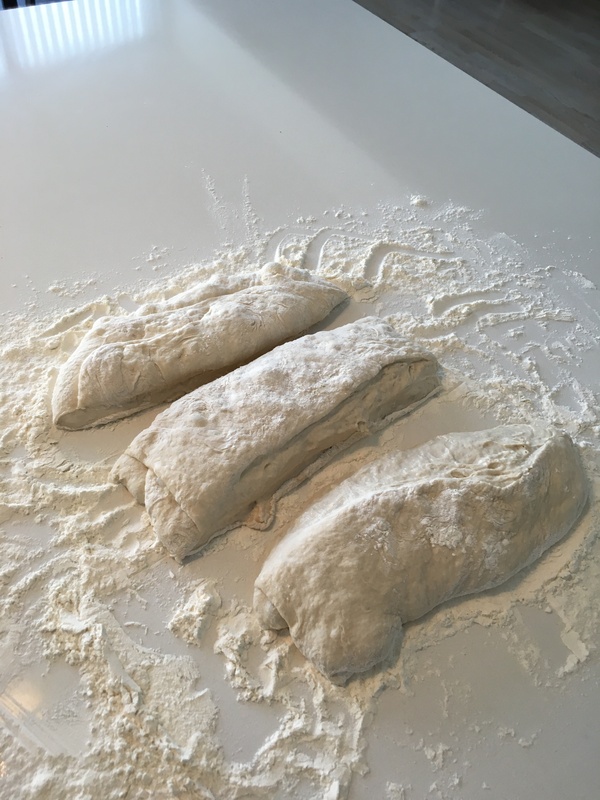 Split the dough into 3 breads (pictures). 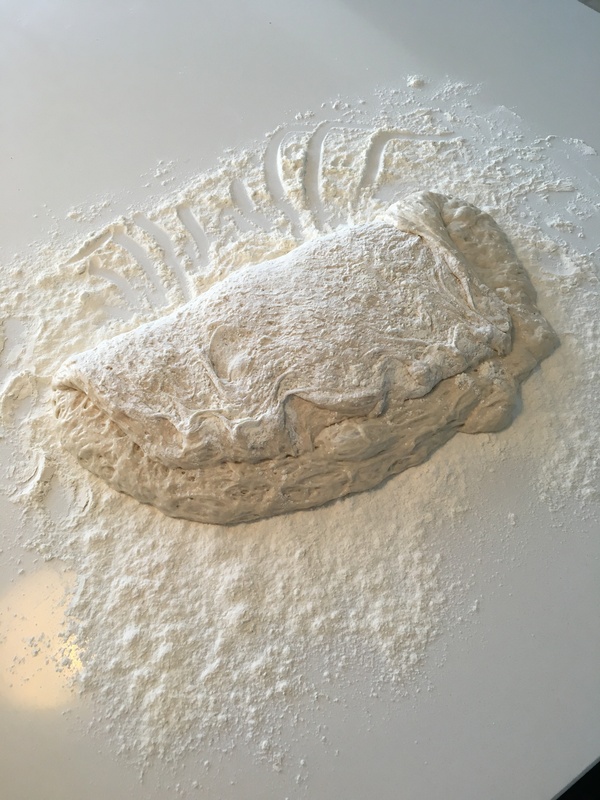 Roll it shortly in the flour. You may pull it a bit to make the bread fit the jelly roll pan. Put the pan directly into the very hot oven. Bake for 18-20 minutes. The bread must have a black crust in the ends before finishing. 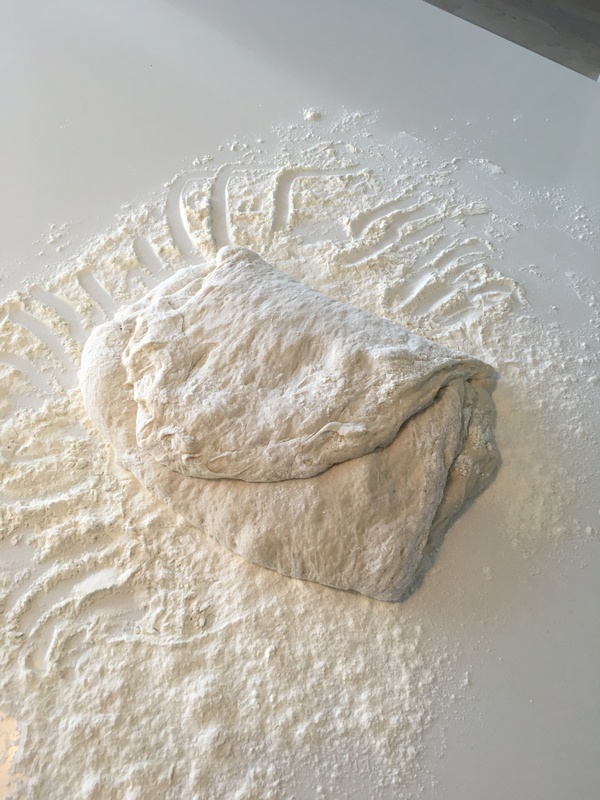 You do not have to buy expensive Italian flour. The most important thing is the amount of protein. 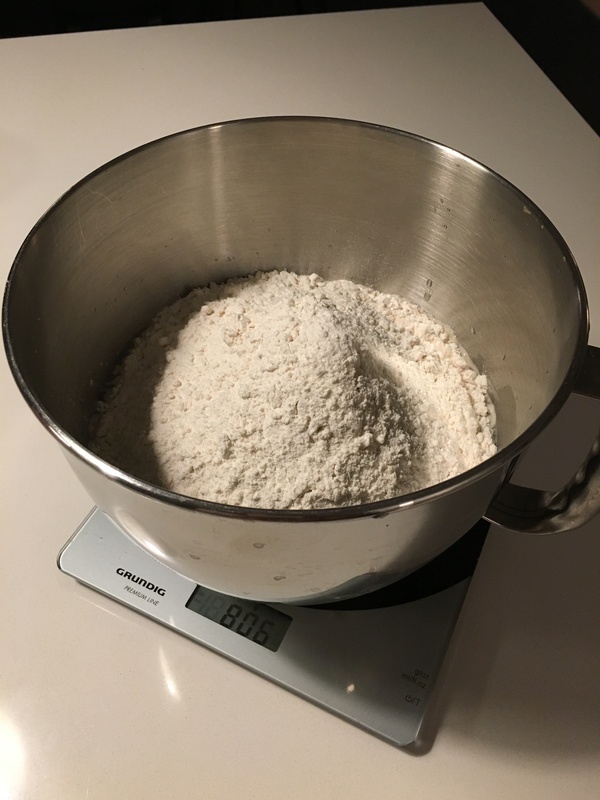 Just buy the cheap flour from your locale grocery as long as it has more than 12g protein / 100gram! The more the better. 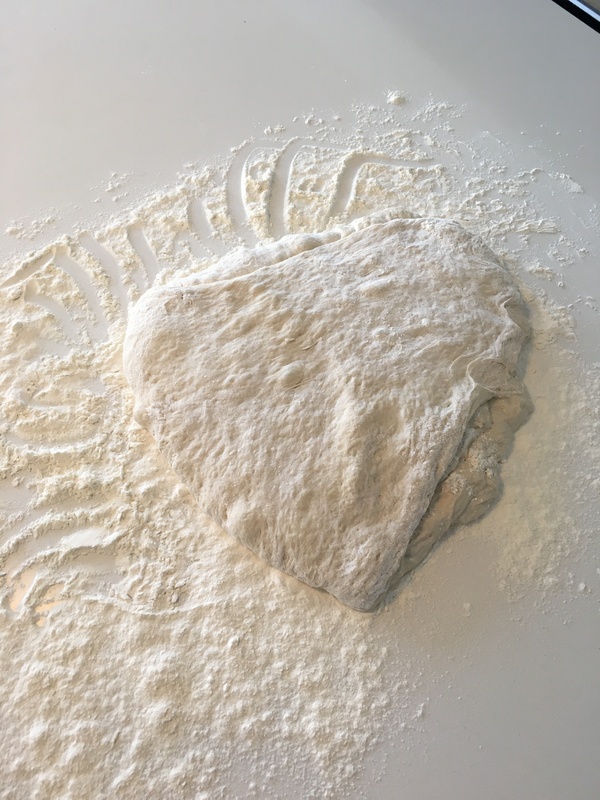 If you find flour that contains more than 12 grams of protein per 100 gram of flour this will make the bread and holes bigger. 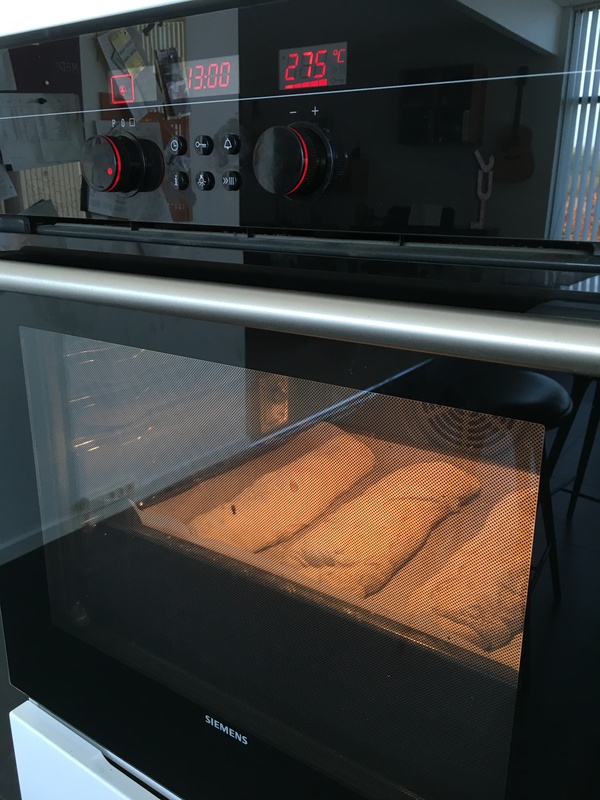 The Italian Ciabatta breads can easily be frozen afterwards. When you want to use them just take them from the freezer and put them directly in a pre-heated oven at 350 degrees Fahrenheit for 12 minutes. Let them rest for a couple of minutes after taking them out of the oven (before serving). Have you tried it… Is amazingly easy to make these breads, and the are delicious. Please click the 5 small stars near the recipe picture. That means a lot to me. Thanks. I really found your recipe for italian ciabatta bread amazing. It comes with big wholes inside just like the real ciabattas. Moreover, the crust of the bread is just amazing. THANKS. I love this recipe. It gives the ciabatta bread a lot of big holes. Very Italianlike and love the acidity from the long preparation. First of all, thanks for the nice comment. I actually replied some minutes ago but I can’t see the answer so here we go again. I’m very happy that you found the recipe to be great. I really love the Italian ciabattas SO much. Great recipe. 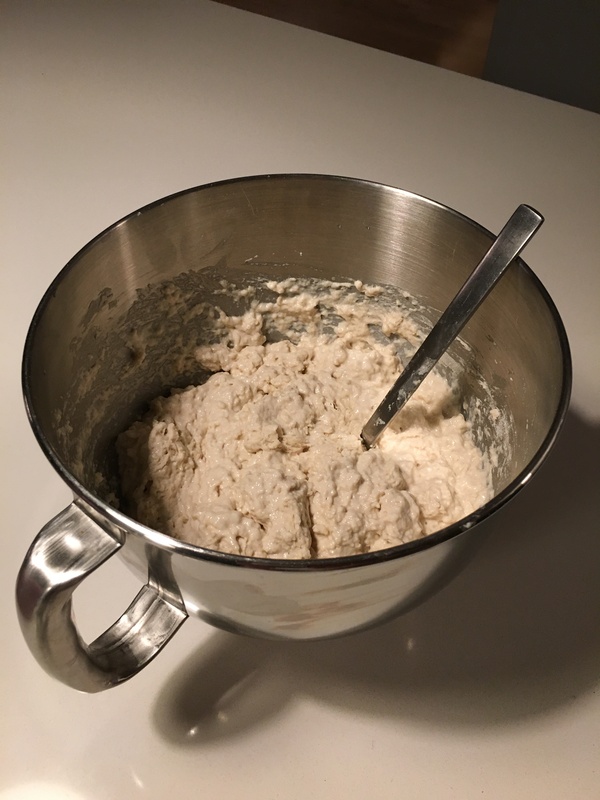 Truly the best recipe in the world… And very Easy. Thanks a lot… I am SO happy I found your page. I have tried a lot of recipes but this is by far the best version I’ve tried.